Wales Sevens star Luke Morgan will link up with Ospreys following his involvement in this month’s Rugby World Cup Sevens in San Francisco. The 26-year-old from Bridgend is Wales’ leading try and points scorer of all time, and ended the 2017/18 World Rugby Sevens Series second in most tries scored (44) – with only the USA’s Carlin Isles touching down on more occasions (49) across the campaign. 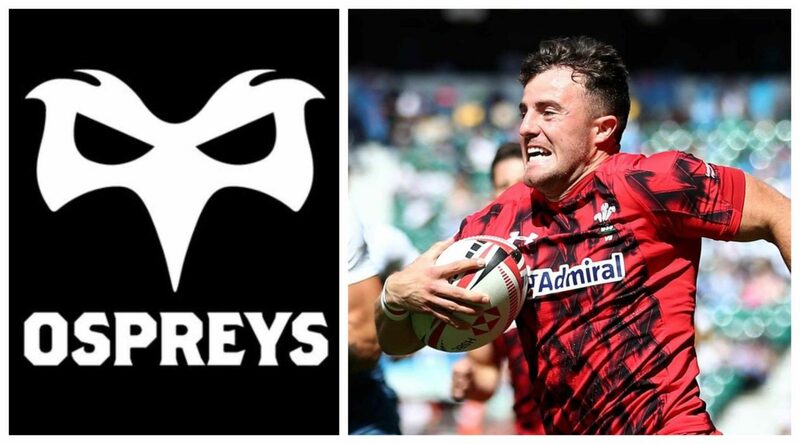 Morgan, who came through the development pathway at the Ospreys and played one senior game for his home region as a teenager, follows former Wales Sevens teammate Sam Cross, who joined the Liberty Stadium-based region last pre-season, with Cross’ move being made permanent in March. Head coach Gareth Williams says the agreement with Ospreys is another example of the good relationship between the sevens programme and regional rugby, and how sevens aids player development as a part of the pathway. “This is a great opportunity for Luke following his achievements on the World Series,” says Williams. “It’s another good example of what the programme can achieve in bringing players through during those formative years post-Academy.